Hi Cake Friends! This year my hubby's youth group turns 5 years old! And to help them celebrate I'm making a sheet cake with their logo in the center! As I was making the logo, I decided to take a few photos to share with you, and also include some tips and tricks on the easy way to make the perfect fondant logo! To begin, print out a copy of the logo you will be duplicating, and be sure the printed logo is the size needed for your cake. Carefully cut out your logo. 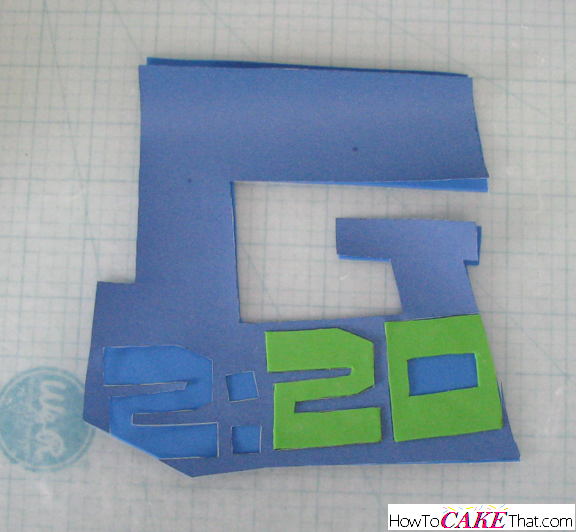 Next, color your fondant to match the background of your logo. Dust work surface with cornstarch and roll fondant out a little larger than your logo. 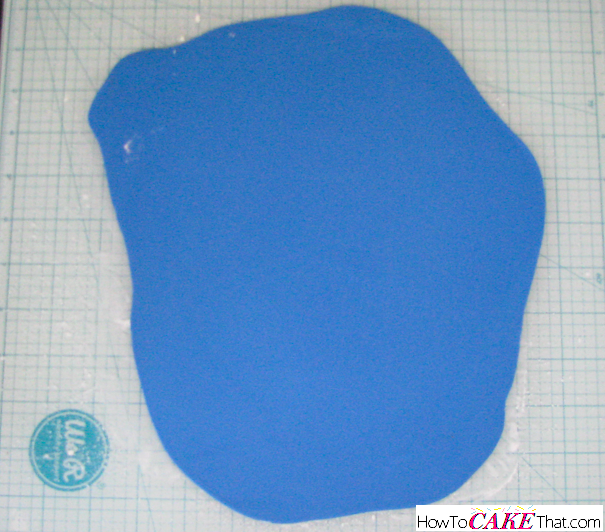 Once your fondant is large enough, remove it from your work surface and place it on a sheet of wax paper. Place fondant and wax paper on a flat surface in your refrigerator and refrigerate for at least 20 minutes to allow fondant to firm up. 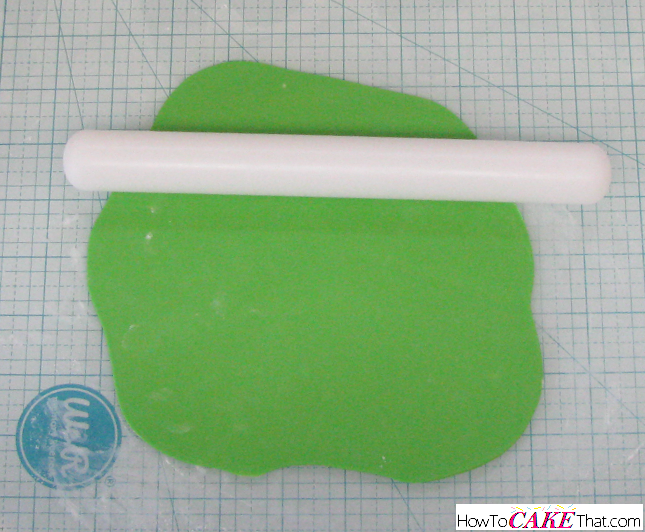 Once fondant is firm, remove it from the refrigerator and place wax paper and fondant back on your work surface. 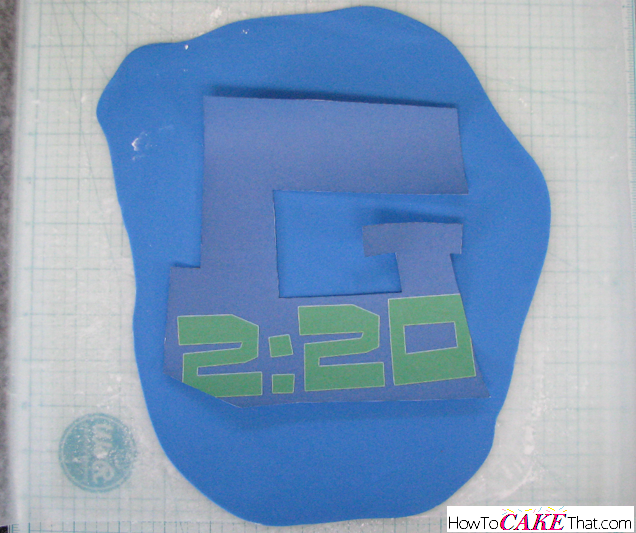 Very lightly dust the surface of your fondant with a little cornstarch to keep paper logo from sticking to it. 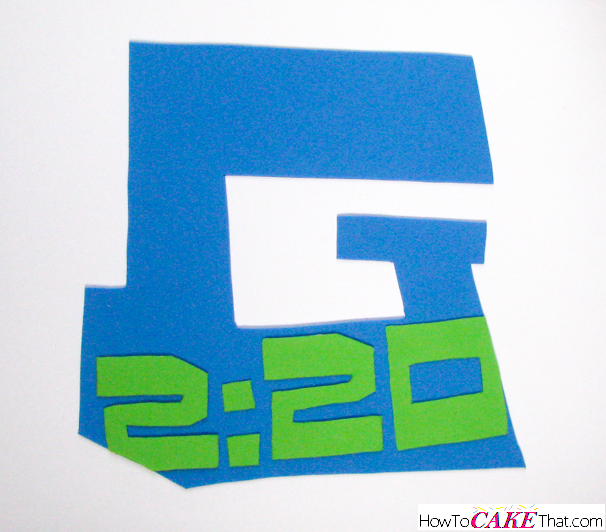 Place paper logo on the fondant. NOTE: If working in hot or humid weather, be sure to run an air conditioner to keep the temperature low (65 to 73 degrees is good) and reduce the amount of humidity in the air. The rapid temperature change from cold refrigerator to hot or humid air can cause condensation to build up on your fondant, making it sticky... this will cause your paper logo to stick to your fondant. Lightly hold the paper logo in place with one hand, and use an Xacto knife with a fresh sharp blade to carefully trace around the outside of the logo. 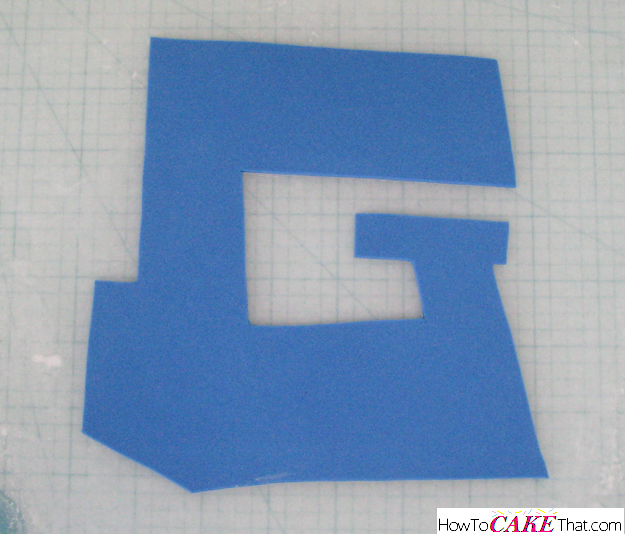 Remove the paper logo and excess fondant. Return background logo piece to the refrigerator to keep cool. Now it's time to prepare to cut out our smaller details. 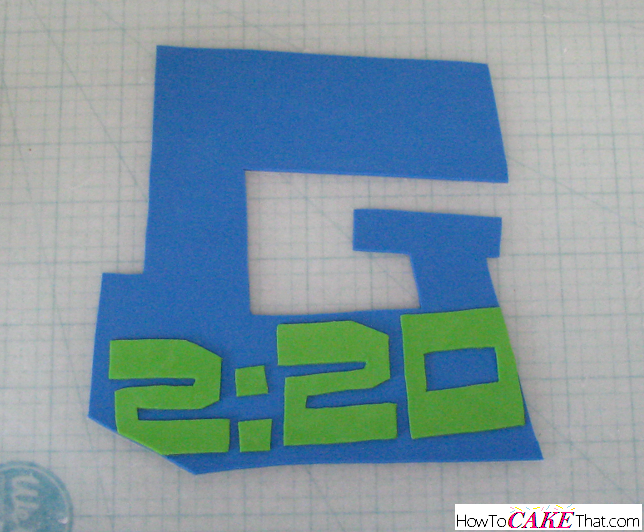 Using an Xacto knife, trim away the smaller details from the logo. 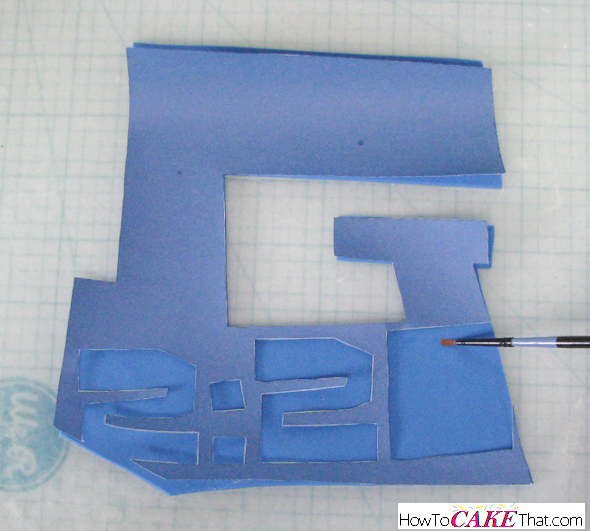 Next, color a small amount of fondant the same color as the smaller details of the logo. Roll out enough fondant for the smaller details, and refrigerate for at least 20 minutes to firm up. Once fondant has chilled and firmed up, place smaller details on the fondant and cut them out with an Xacto knife. Return smaller details to the refrigerator to firm up again, if needed. 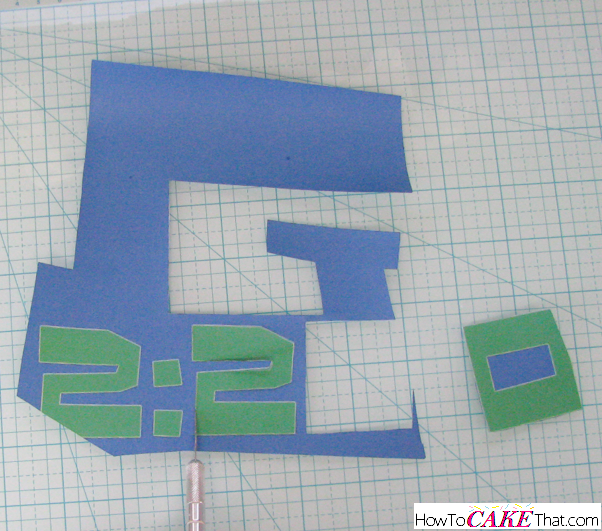 Next, remove the large background piece from the refrigerator and place the paper cutout over the background piece. 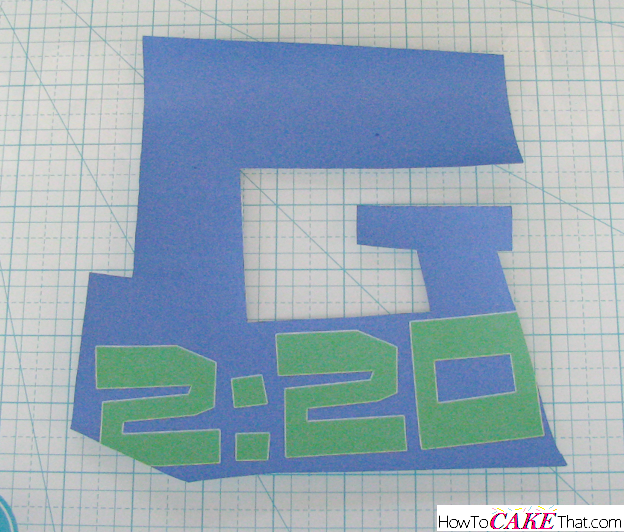 This paper template will serve as a guide when placing the smaller details on the logo. Using a small paintbrush, brush a light amount of water, piping gel, or gum glue to where the smaller details will be sitting. Next, place the smaller details in their designated places. This paper template is the trick to getting your smaller details perfectly placed! 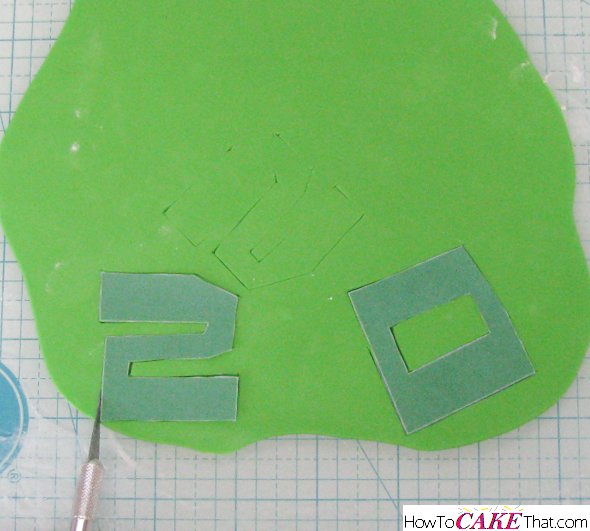 Carefully peel the paper template off of the fondant logo once the last detail has been placed. And viola!! You have a perfect fondant replica of the logo! Before placing it on your cake, it can be returned to the refrigerator to firm up for easy handling, or you can let it sit for a day or more to dry and harden a bit. 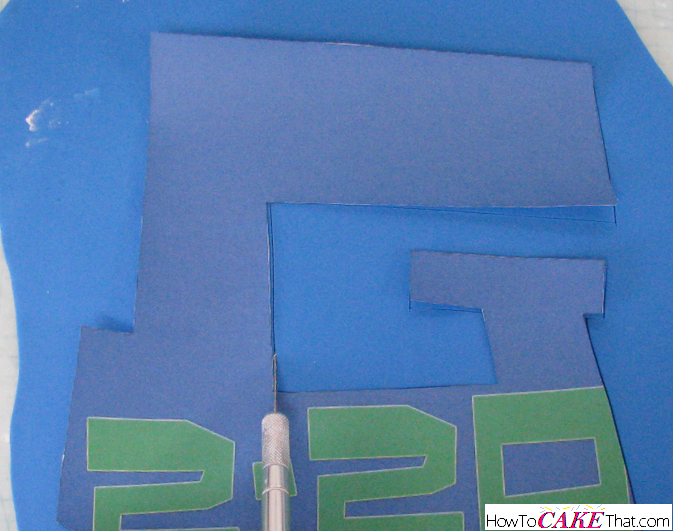 To attach it to the cake, brush the back of the logo with a little water, piping gel, or gum glue and place it on the cake.